This blog was previously posted by the WINnERS project, available here. And – wasted food wastes water. Only 0.3% of all fresh water on the planet is accessible in rivers and lakes. So, losing a third of this scarce resource annually, embodied within food waste is, in Ms Kakabadse’s words, “quite simply, crazy”. At the same time, the growing demand for sea food is destroying fragile oceanic ecosystems. This in turn is having dire consequences on the livelihoods of the millions of fishermen and women who rely on healthy oceans for their food and income. Des Moines, Iowa was abuzz last week with the World Food Prize 2016 events – an annual celebration for achievements of all those working towards improving the quality, quantity and availability of food in the world. This year, the World Food Prize recognises four distinguished individuals for developing the single most successful example of micronutrient and vitamin biofortification – the orange-fleshed sweet potato (OFSP). Dr. Maria Andrade (Cape Verde), Dr. Robert Mwanga (Uganda), Dr. Jan Low (the United States), all from the International Potato Centre, were recognised for developing and implementing biofortification in the orange-fleshed sweet potato. The fourth Laureate, Dr. Howarth Bouis (United States) of HarvestPlus pioneered the implementation of a multi-institutional approach to biofortification as a global plant breeding strategy. This deficiency also causes stunting in children. Among pregnant women, Vitamin A deficiency leads to a weakened immune system, and an increased risk of mortality from infections. HarvestPlus estimates that “(nearly) 20 million pregnant women in developing countries are also vitamin A deficient, of which about one-third are clinically night-blind”. And yet this is a preventable situation. Globally, increasing micronutrient deficiencies are a sign of changing diets. In order to sustain good health and development in children and normal physical and mental function in adults, micronutrients – vitamins and minerals – are crucial. Yet, more than 2 billion individuals, or one in 3 people globally, suffer from micronutrient deficiencies, often resulting in serious physical and cognitive consequences. In many emerging economies, food consumption is shifting towards processed foods and drinks which are high in energy, but contain few micronutrients. Similarly, in developed and more urbanised countries, high fat and carbohydrate intake ‘hides’ the growing occurrence of micronutrient deficiencies. In other words, micronutrient deficiencies in developed countries manifest as overnutrition, or obesity. On the other hand, diets in developing nations largely consist of sweet potatoes, maize, wheat, rice, and cassava, which are rich in carbohydrates, but are poor in micronutrients. As such, micronutrient deficiencies are neither limited to developing nor developed countries. However, this form of ‘hidden hunger’ is more prevalent in developing nations than in developed nations, particularly among the poor within developing countries. Poverty reduces the ability of households to purchase supplementary foods to diversify their diets. Instead, they are forced to consume single staple crops – potatoes, maize, wheat, rice, and cassava – which do not contain sufficient nutrients. Unfortunately, this is made worse when food prices rise, often just before harvest, during droughts and famines, or when external economic and natural shocks (e.g. earthquakes and volcanoes) impact production. Poverty thus becomes both a cause, and outcome, of micronutrient deficiencies. But it doesn’t stop there. Undernutrition directly affects individual wellbeing, learning and health. Eventually ‘hidden hunger’ reduces individual productivity, which in turn diminishes household income and negatively affects a country’s economic growth. According to the African Union Commission, undernutrition in Ethiopia costs a staggering 16.5% of its annual GDP. “Let food be thy medicine and medicine be thy food.” — Hippocrates, “father of medicine”, 431 B.C. Amongst the most commonly recognised deficiencies (iodine, iron and zinc), the public health implications of Vitamin A deficiency are worthy of attention, not least because the hardest hit are young children and pregnant women. Animal products such as fish oils, liver, milk, eggs and butter are the primary sources of Vitamin A. Alternatively, for the vegetarians and vegans, yellow and orange fleshed fruit and vegetables and dark-green leafy vegetables contain provitamin A carotenoids, which can be converted into vitamin A by the human body. Therefore, the negative impacts of vitamin A deficiencies can be avoided by introducing targeted, simple and effective food-based interventions. Thus biofortification offers an additional tool in addressing micronutrient deficiencies. Biofortification is the process of breeding critical vitamins and micronutrients into staple crops. Unlike conventional fortification which occurs during the processing of food, that is, after harvest, biofortification takes place earlier, through agronomic practices such as applying mineral fertilisers, (conventional) plant breeding or modern biotechnology (genetic modification). Sweet potatoes form a substantial and growing portion of diets across Africa. According to FAO, more than 21 million tonnes of sweet potatoes were produced in Africa in 2014, up from approximately 14 million tonnes in 2004. However, in Africa, as in many parts of Asia, the dominant variety is the traditional white variety, which contains significantly lower amounts of vitamins than its orange cousin. Through extensive research and breeding programmes, the four winners of the 2016 World Food Prize have identified the most effective means of increasing beta-carotene content in the traditional white sweet potato. As a precursor to Vitamin A, beta-carotene – which is a plant pigment – can be easily converted into Vitamin A by human bodies. It is also the beta carotene is also what causes the bright orange colouration. Just 125 grams of a fresh sweet potato root from most orange-fleshed varieties contains enough beta-carotene to provide the daily provitamin A needs of a pre-schooler. As such the orange fleshed sweet potato is the single most successful example of micronutrient and vitamin biofortification. Moreover, the new varieties are high-yielding, drought-, pest- and disease-resistant too! Despite the obvious health and economic benefits, the new sweet potatoes were not immediately adopted by communities. They certainly looked different to what consumers were used to. Some varieties also had a different taste and texture. So, with a lot of social science, marketing and behaviour change initiatives – in addition to their work on nutrition and agriculture – these four leading scientists therefore overcame not just the technical difficulty of biofortification, but also social barriers. By augmenting the very base foods of the poor – sweet potatoes in this case – biofortification is able to directly reach the populations where vitamin A deficiencies currently manifest highly. In 2014, 30% of Ugandan farmers were growing varieties of the orange fleshed sweet potato developed by Dr Robert Mwanga. In addition, targeting this intervention at farmer level increases dissemination to remote areas, without the need for infrastructure investments. This approach also enhances opportunities for scaling-up through farmer-to-farmer exchanges. Indeed, after the initial investment, the costs of scale and impact fall dramatically, making it a very cost-effective intervention. Dr Maria Andrade with Sir Gordon Conway of Ag4Impact at an orange-fleshed sweet potato farm in Mozambique. The orange t-shirts certainly made it easier to engage with local communities! Initiated by Dr. Norman E Borlaug, Nobel Peace Prize winner in 1970, and dubbed “the father of the Green Revolution”, the World Food Prize honours individuals who make significant and measureable contributions to improving the world food security. That these distinguished scientists have successfully reached 2 million households in Africa through which “an estimated 10 million people will avoid malnutrition and disease” is truly worthy of this high accolade. Ag4Impact takes this opportunity to warmly congratulate all four Laureates on their achievements. Originally published in The Telegraph on 05 October 2016. 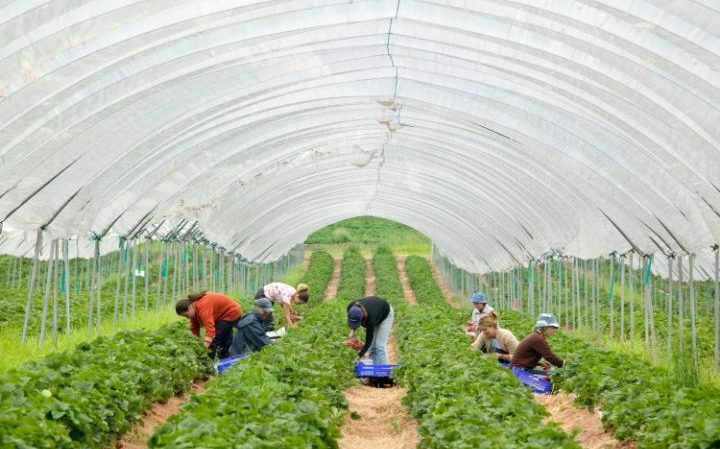 When recently appointed Environment Secretary Andrea Leadsom suggested that young Britons could take over post-Brexit fruit-picking and farm labour, her comments were met with derision. Her remarks inspired ridicule over the prospect that millennials might go back to working the land in the wake of the UK withdrawing from the EU. Yet in truth Mrs Leadsom’s has successfully highlighted precisely why we need to do more to change attitudes towards agricultural careers and inspire more young people to get involved. According to a Defra survey in 2013, the number of farm holders under the age of 45 fell from almost a quarter in 2000 to just 14 per cent in 2010. With an average age of 59, the population of British farmers is growing old. And it is not just in the UK. Statistics in Africa revealed a similarly aging population of agricultural workers with an average age of 60 despite almost two thirds of the continent’s population being under the age of 24. Students in the UK choosing to study agriculture at university – some 19,000 – are dwarfed by the 280,000 school leavers applying to do business-related degrees. The question we must therefore as is: who will continue to feed the world if the world’s farmers are on the brink of retirement? At the same time, a growing global demand for food is putting more pressure than ever on the family farms and smallholders that provide 80 per cent of the world’s food supply. With the UN stating that food production must double by 2050 to feed a growing population, it is essential that we encourage and enable a new generation of agriculturists both at home and around the world, or we will be left with food that is both scarce and expensive. On top of these challenges, climate change is expected to dramatically reduce yields across the world. In fact, the recent El Niño induced-drought, that left approximately 100 million people in need of food assistance, proves it already is. So increasing our global food supply with this added challenge, as well as scarcity of vital resources like water and land, mean that today’s farmers now also need to be scientists, engineers and web developers. That’s right! Technology-led, cutting edge career paths. This is where we can inspire the young to get involved with agriculture. 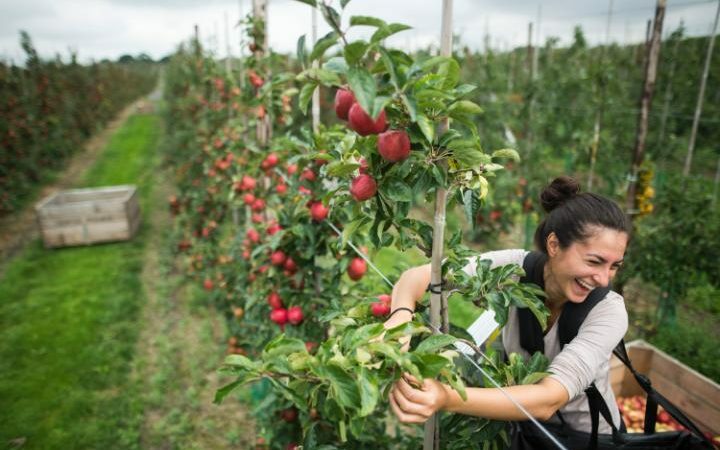 Fruit-picking in Europe and tilling the fields in Africa are both necessary and noble professions – but we need to dispel the myth that this is the only way to engage with farming. The global advocacy group Farming First has launched a campaign this week that seeks to show young people that the industry is not just about manual labour, but also about innovation, education and communication. A career in agriculture could involve working with high-resolution satellite imagery to enable farmers across the world to better understand the health of their crops, allowing them to take steps to increase productivity or overall yield, like UK based company Digital Globe. It could involve developing state-of-the-art weather and climate-modelling technology to measure the risk exposure that retailers, buyers, banks and farmers will face in the future, like the Imperial College based initiative WINnERS. Or it could involve promoting sustainable and inclusive business models in the developing world, empowering poor farmers and catalysing economic growth, like the London-based NGO Twin. Opportunities in agriculture have never been greater for our young people, both in the UK, and all around the world. Our future challenges need future solutions and only the next generation can deliver them. We must do all we can to help them do that. Here’s a round-up of some of our favourite twitter accounts that we think bring unique, informative voices to the Twittersphere. Did we miss your favourite? Tweet them to us and let us know why you think they’re great. @WINnERSinsured: WINnERS is an exciting collaboration between academics, insurance industry experts and global food buyers. The project aims to build products and services that protect both food buyers and producers from weather-driven risks. The website and Twitter account are brand new, so follow now to find out more while they build their online presence. @MarchmontComms: Marchmont is a communications agency that specialises in international development challenges. Follow them for links to stories, videos and content about global food security, sustainable agriculture and natural resource management to climate change, public health and innovation. @B4FA: Biosciences for Farming in Africa specialise in balanced, science-based information to promote sustainable solutions to improve food security and productivity in Africa, particularly for smallholder farmers and farming organisations. They are a great place to find content about their subjects of particular interest: biosciences and biotechnology. @RAFLearning: The Rural and Agricultural Finance Learning Lab are great to follow if you’re interested in the way that accessible finance can improve the lives and livelihoods of smallholder farmers and rural people. They run in partnership with the Initiative for Smallholder Finance to promote inclusive ways to supply the ever-growing demand for smallholder financing.